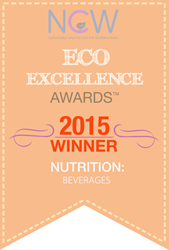 Coco Libre announced today that their flagship Organic Coconut Water line has won the 2015 NCW Eco-Excellence Award for the Nutrition Beverage category. Established by NCW Magazine, the Awards recognize excellence in the adult, child and pet lifestyle industries and elevate companies that stand out for their social and environmental sustainability. Finalists in 16 categories were selected by a panel of celebrities and members of NCW’s Moms’ Lab. Winners were selected by fans voting Coco Libre Organic Original and Organic Pineapple coconut waters as winner of the Beverage Nutrition category. Coco Libre’s products are on a path to bring people healthy, organic beverage choices at affordable prices. The company is achieving this while significantly reducing their carbon footprint through responsible supply chain practices.